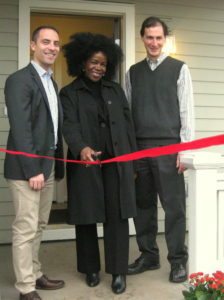 Developments - Portland Community Reinvestment Initiatives Inc.
PCRI’s Executive team, Property Management, Maintenance and Housing Development Departments are continuously working together to determine where rehabilitation is needed and where more affordable homes can be developed. Our goals for these rehabilitation projects and new developments are consistent with our mission: to preserve and expand affordable housing. In summer 2015, PCRI completed new homes in two Northeast Portland neighborhoods. 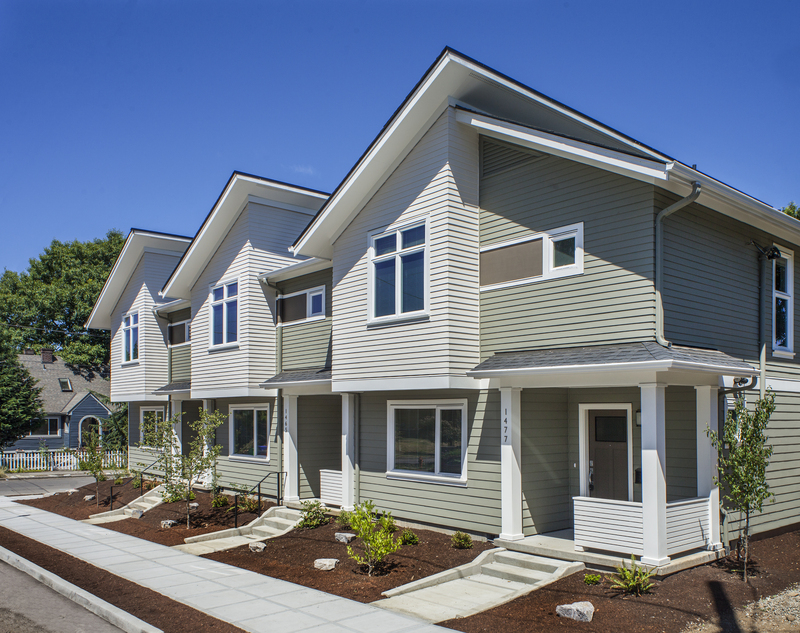 Click the following links to learn more about PCRI’s new townhome developments on NE Ainsworth Street and NE 14th Place (pictured above). More new homes are on the way as we redevelop the former Grant Warehouse site into the Beatrice Morrow and build the King + Parks Apartments, estimated for completion in 2018 and 2019, respectively. In 2017, PCRI will also begin construction of new homes for qualifying first-time buyers. Participants in PCRI’s homebuyer education programs will have the first opportunity to purchase many of these homes. To learn more about other homes PCRI has developed for low- and moderate-income first-time buyers, click here. Follow the links to see some of the rehabilitation projects and new homes PCRI has completed. Or check out the awards PCRI’s homes have earned. For more information, visit www.pathway1000.org!